Heat oven to 325°F. Spray 9-inch glass pie plate with cooking spray. In medium bowl, mix apples, cinnamon and nutmeg; place in pie plate. Who can pass up on something as perfect and classic as apple pie? Now, gluten-free eaters don’t have to. 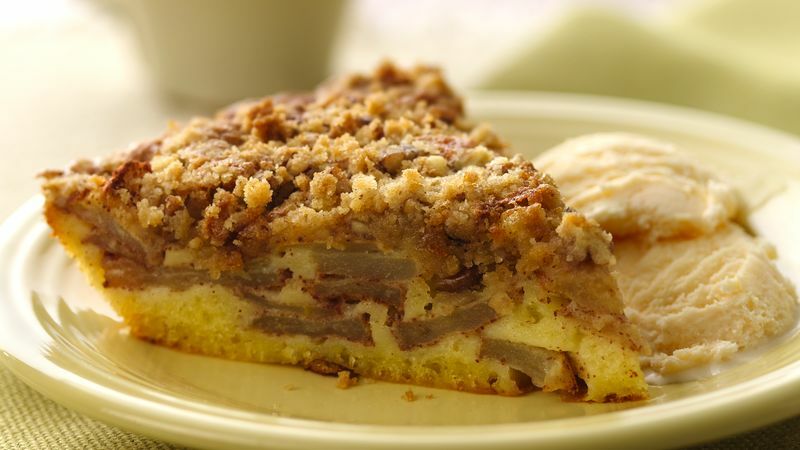 Way easier than making a scratch crust is topping this gluten-free apple pie with a French-style crumb topping. When you’re making this pie, it’s a great time to try different types of apples, like: Empire, Regent or Spartan, for different flavors. Think gluten-free baking is too complicated? Think again. This French apple pie is made extra easy with assistance from Biquick gluten free baking mix for a quick and easy dessert everyone can enjoy. Trust us—no one will be able to tell this pie is gluten free. For our best tips on how to make apple pie a success, look no further.